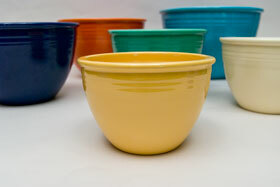 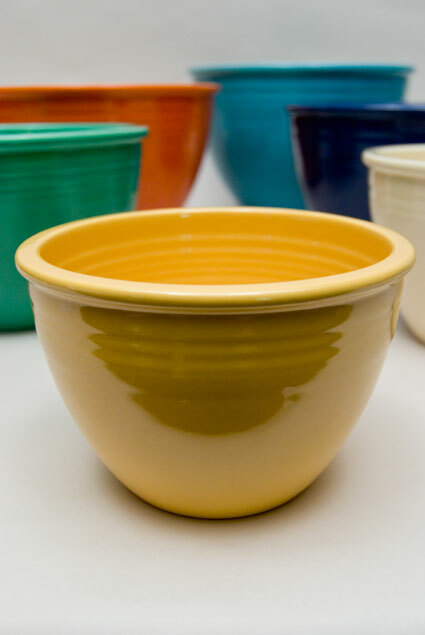 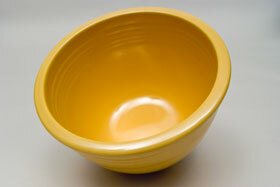 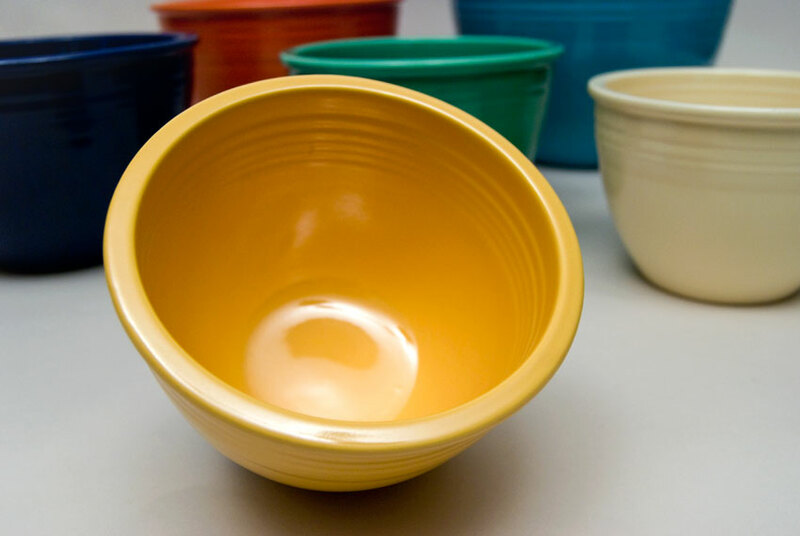 Circa 1938-1944: This example of the #2 yellow fiesta mixing bowl is in excellent shape without use or scratches, no wear, no chips, no damage and no touch-ups. 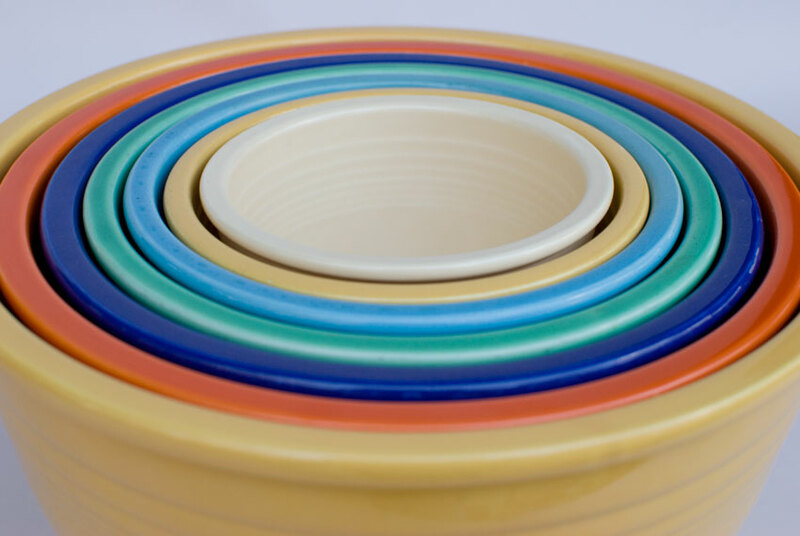 Nesting bowls are one of the few vintage fiesta pieces (besides plates) that really show their use and are much harder to find than the other pieces in good, unused used condition. 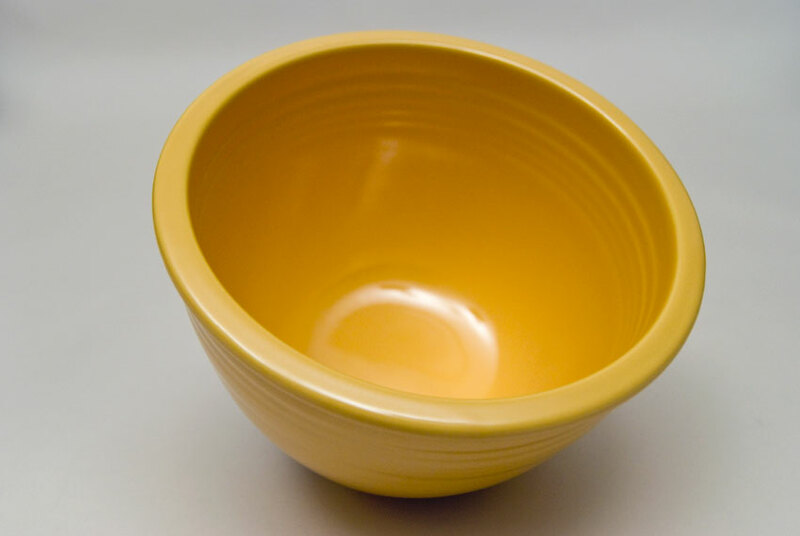 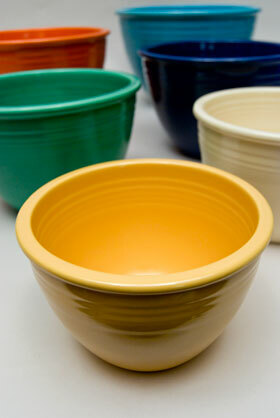 This #2 yellow mixing bowl looks unused - without a mark and you will love it. 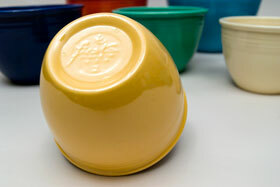 Nicely impressed, in the mold, on the bottom, "HLC fiesta, Made in USA 2". 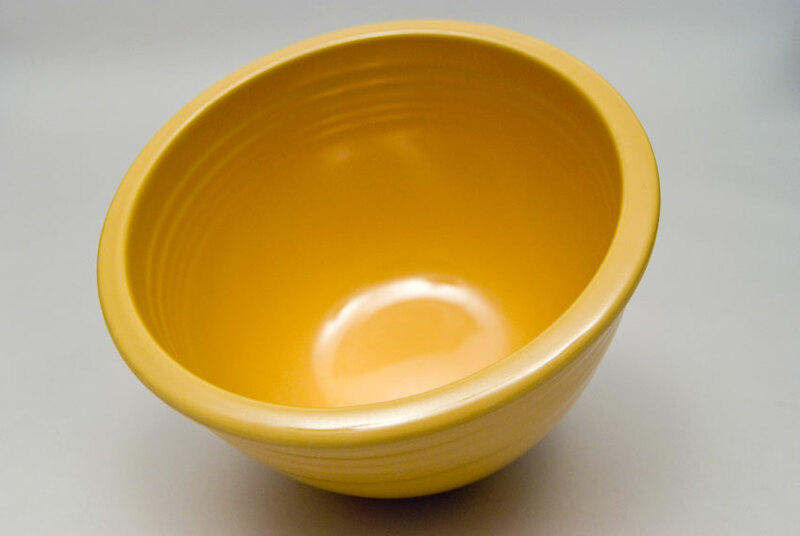 This example is guaranteed to satisfy. Measures 5 7/8" w x 3 15/16h"